The Abacos islands, perched on the outer edge of the Bahamas chain, affords a wealth of fun things to do ranging from day sails around the islands to exploring the Marsh Harbour in tow with a Lucayan nature tour to enjoying a vibrant nightlife sipping tropical drinks while gulping down the best conch fritters that the islands have to offer. For bird enthusiasts, of particular interest to visitors to the South Abaco, near Hole-In-The Wall, is the nesting habits of the Abaco parrot, which is the only know species of bird in the Caribbean that nests in the ground. 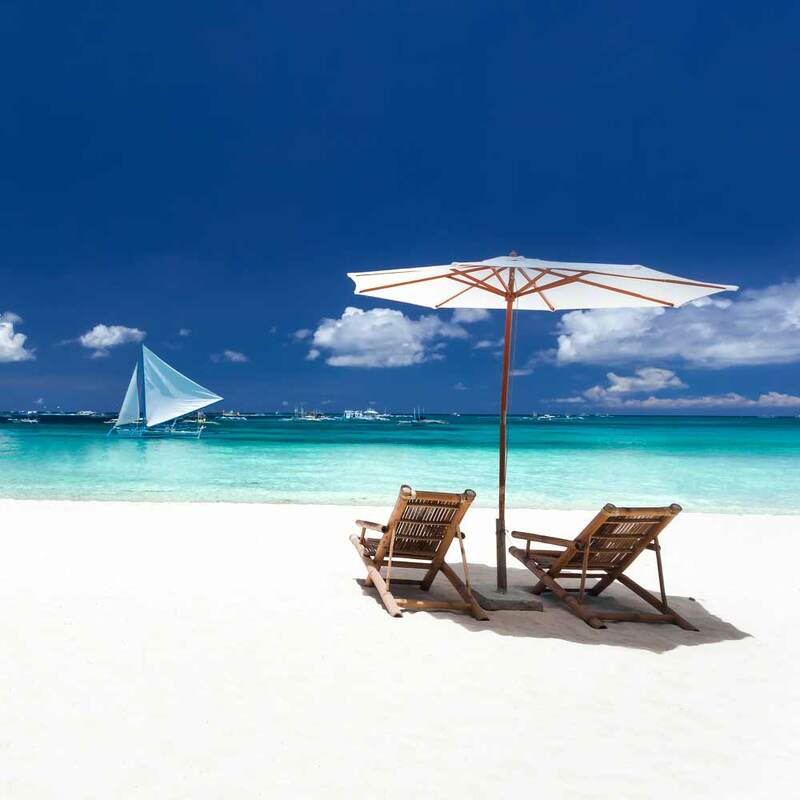 The island’s miles of pristine beaches are ideal for swimming, fishing, snorkeling, and much, much more. If your ideal vacation involves communing with nature, than you certainly want to schedule a visit to this small island that offers so a myriad of things to do and see on this small island that packs such a big punch in delivering a great place to visit. 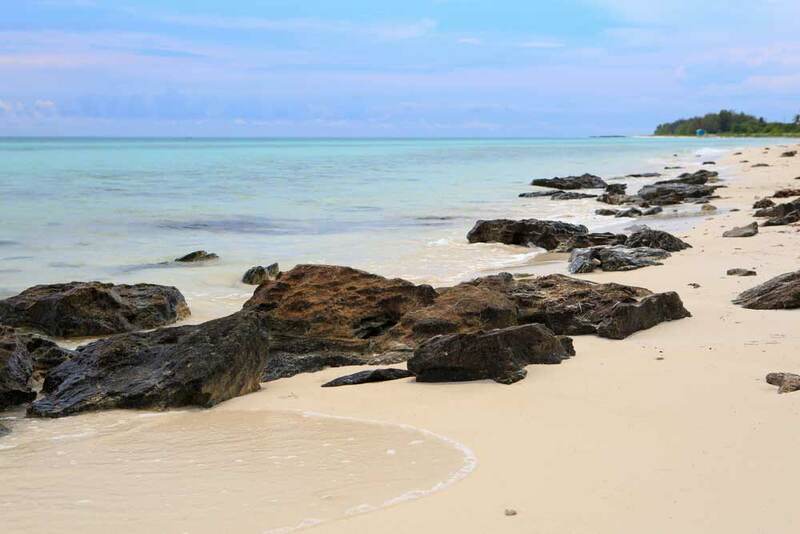 The island’s small population of just 500 souls means that ou will be able to experience miles of pristine beaches that are ideal for swimming, fishing, and snorkeling without the typical crush of nearby tourists. From Small Hope Bay Beach that features relaxing sandy beaches framed by coconut tree hammocks, to Summer Set Beach, which earns its name from the millions of seashells that line its shores and bear a strong resemblance to the setting sun, the beaches of Andros Island are just some of the draws to the tropical island paradise. Snorkel the third largest barrier reef in the world, and visit the North and South Marine Park, which is responsible for preserving the beautiful and valuable reef ecosystems that encompasses nearly 65,000 acres along the island’s western side. Tour the breathtaking beauty of Hoffman Cay’s Sugar Beach Cave, which is home to a 600-foot wide and 20-foot deep blue hole that daily witnesses the unique interplay of area marine life. The Berry Islands are ideal for nature lovers; rent a kayak and paddle around the southern most tip of Great Harbor Cay, which offers one of the most fertile mangrove creeks to be found in the Bahamas where you can get up close and personal with the marine life swimming beneath you in the crystal-clear Bahaman water. Organized tours allow you the chance to see every inch of the island without missing a beat from the beauty along the Bimini Nature Trail, which wends its way across the island and is home to an array of plants and animals that call Bimini home. A visit to the Bimini Biological Field Station will reveal efforts in the works to study the ecological role the ubiquitous lemon shark has on the area while the Bimini Dolphin Communication Projects seeks new ways to interact with these amazing mammals. Climb up Como Hill and explore the monastic ruins of the Hermitage as you take in the sights afforded by the highest peak in the Commonwealth of the Bahamas. The 360° view this vantage point provides will be sure to give you an appreciation for the lush tropical terrain that defines the Bahamas in the imagination of so many travelers over the years. Join a guided tour that will take you to blue holes, bat caves, and nature trails that form a tropical backdrop to the region’s many natural treasures. Spanning more than 2,000 square miles of water where the Atlantic Ocean meets the Caribbean Sea a mere thirty miles from the coast of Cuba. This stretch of the Bahamas is ideal for visitors looking to explore the wildly exciting time of deep sea diving with popular diving and snorkeling sites to include exploring enormous blue holes, diving on coral reefs teeming with aquatic life, or the wreck of the Rompidas for an exciting aquatic trip back through history. Home to the Bahamas National Trust and Birdlife International Society, the area is perfect for birdwatchers eagerly looking forward to adding rare bird species to their repertoire with such examples as Brown Bobbies, Royal Terns, Audubon’s Shearwaters, and Sandwich Terns among others. Whether booking a tour to visit the well-preserved historical properties of Hope Greta House and Marine Farm, or you are more interested in exploring the magnificent aquatic wildlife of these beautiful islands, the Crooked Islands are the destination point for you and your family. Drop your line in the broad tidal flats and deep creeks that are a fisherman’s paradise in search for the plentiful bonefish that frequent the area. 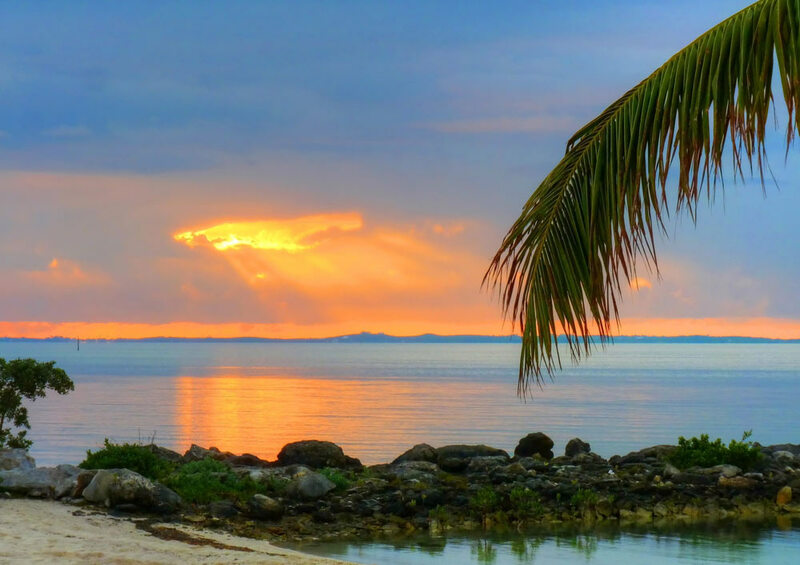 The Crooked Islands is an outdoor oasis for travelers both seeking adventure and relaxation along the pristine white sand beaches of one of the Bahamas most popular islands. A myriad of activities awaits the visitor to Eleuthera Island’s miles of beautiful pink-hued beaches that are a marvel to visitors to the island. Take a tour of the Medicinal Plant Trail inside the Leon Levy Native Plant Preserve to discover the traditional uses made of native trees and plant life in the treatment of ailments and the making of local favorite, “bush tea.” An array of five-star resorts is available to meet every expectation you might have, and they are standing by to help you plan your day’s excursions. Choose from an afternoon of conch diving, or gear up for a full day of deep-sea fishing in the clear waters surrounding Eleuthera Island. 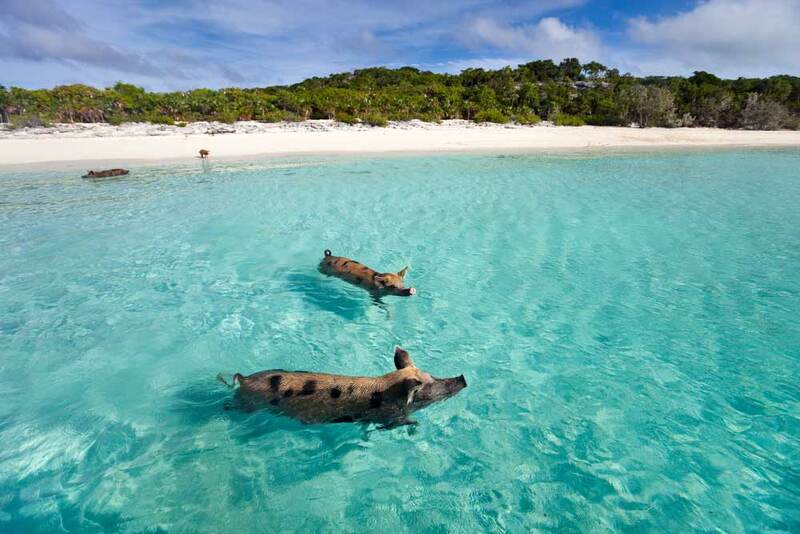 From paddling with feral pigs in the warm waters of secluded coves to traveling the shell-strewn sands of Coco Plumb Beach in Exuma Cays Land and Sea Park, the flora and fauna of the Bahamas is on full display in the two national parks on the island. 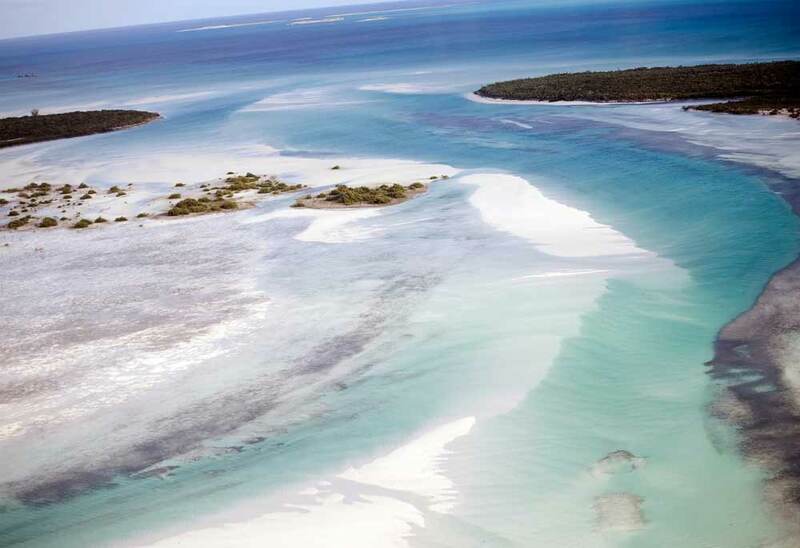 Be sure to take in some of the 13,000 acres of Moriah Harbour Cay National Park, which plays a critical role in the Exuma island marine ecosystem. Thrill at the prospect when you spot the local lizard population of Bahamas iguanas, which can grow up to more than two feet long, or catch a glimpse of the ever-elusive Hutia, a large cave-dwelling rodent that calls the park home. Birds, the pungent aroma of tropical flowers, and the warm Caribbean sun are all waiting to welcome you to the beautiful Exumas Islands. Whether hiking, kayaking, or exploring from the back of a horse, the island of Grand Bahamas is home to three separate national parks with Lucayan National Park representing the jewel within this ecological crown. Guided tours of this expansive ecological treasure, and the other two parks, are readily available for tours with various adventure tours specifically tailored to meet the eclectic tastes of your group. 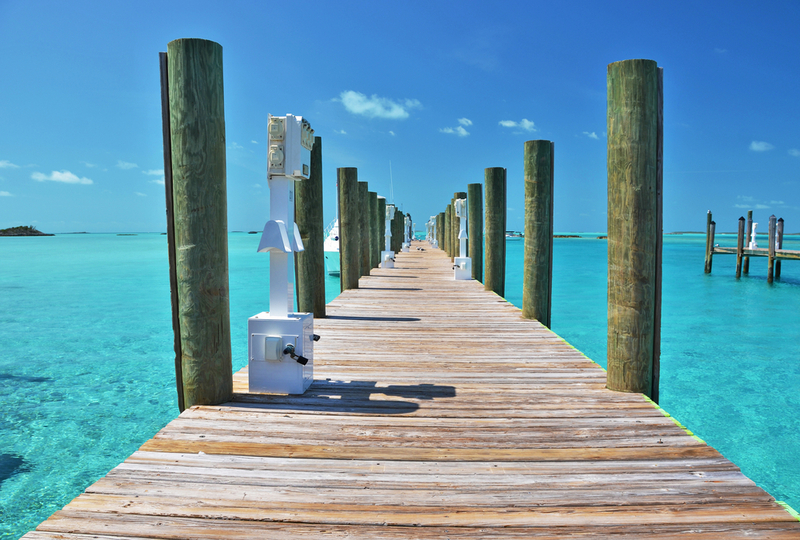 From the mild to the wild, you set the pace of your Grand Bahamas Island vacation itinerary. What did it feel like to live in the Caribbean in the early 1700s? Find out with a tour of historic Inagua Island where purportedly the first act of piracy occurring in the Bahamas, which signals the beginning of the Age of Piracy in this part of the world. Walking tours of Matthew Town allow you to explore the island’s culture and history as you see buildings dating back to the 19th-century and fashioned in the British colonial style. You should also not miss a visit to Inagua lighthouse that provides unprecedented views of the rest of the island. 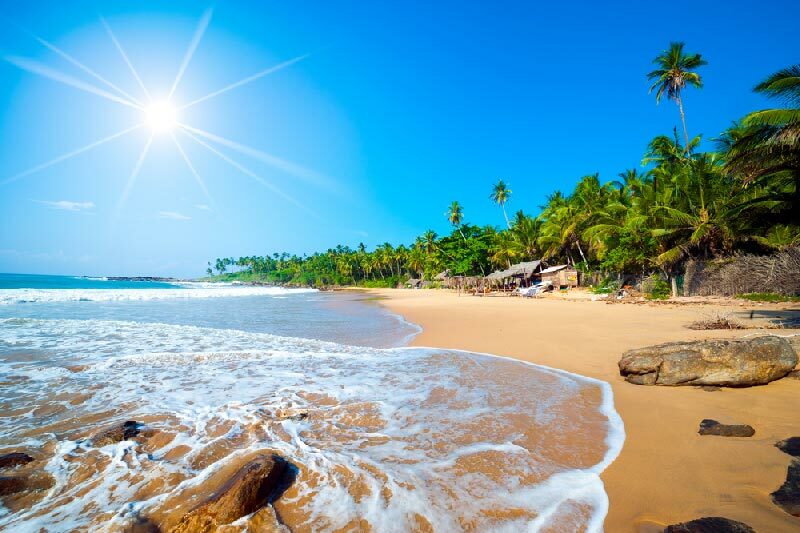 For those wanting to snorkel and commune with the green and hawksbill turtles that frequent the area, Coconut Grove Beach is the destination point for thousands of visitors each year. Natural beauty meets history on Long Island in the Bahamas, and guided tours will unlock the secrets of both when you arrange for all inclusive adventure exploration package. Visit Sandy Cay, which is home to the island’s rare rock iguanas, as well as spotting a wide array of birds, fish, and turtles, which rely on the sanctuary of the Conception Island National Park to thrive. Be sure to check out the splendid dual churches, St. Paul’s Anglican Church and St. Peter and St. Paul Roman Catholic Church, which dominates the hills above Clarence Town. 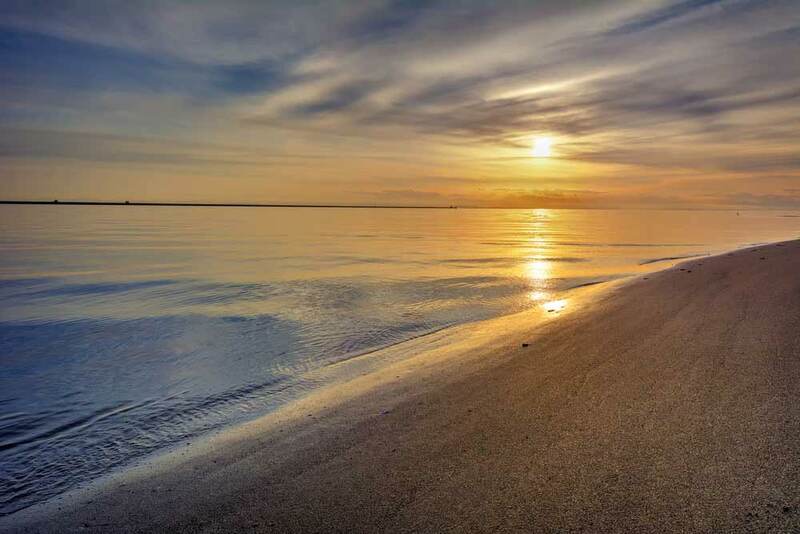 There is something for everyone on Long Island, so make certain that you don’t miss a thing that this lush tropical island has to offer. 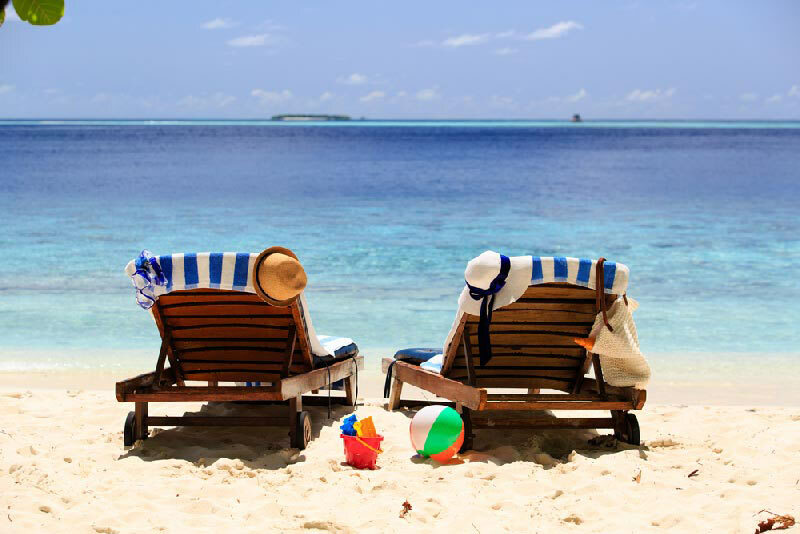 Pick your poison and join a tour when you are on Mayaguana because this Bahamian island has it all for the taking with historical, cultural, and exciting adventure tours all packaged and ready to go for your enjoyment. Join an escorted tour to visit the caves of the North Beach district, while the wild terrain of Southeast Point is the ideal playground for the extreme hiking and biking aficionados. Home to more than 100 different species of birds, Black Wood Point is an excellent habitat for an array of indigenous and migratory birds including wild flamingos, ospreys, plovers, and terns, so catch this natural phenomenon from the deck of a chartered fishing craft that can deliver you to the perfect vantage point for viewing this beautiful island paradise. Having the largest concentration of people in the Bahamas, two-thirds of the Commonwealth’s population calls New Providence home, the island is well set up to arrange the tours of the massive number of visitors who arrive each year to explore the cultural and tropical beauty of this island nation. The island is host to a number of national parks and gardens that makes New Providence Island a great place to schedule you next ecotourism package. Make time to visit the Primeval Forest National Park, a small tropical forest reminiscent of the tropical hardwood forests of the Bahamas, and features limestone caverns that range in size up to 50-foot long, 30-foot wide, and 30-foot deep that are just waiting for you to explore. A local, dynamic ecotourism program, established by the local community to better enhance the natural environment on the islands, bolsters ecotourism in the Ragged Islands, and you as a visitor are the direct beneficiary of their efforts. Between Ragged Island and some of the larger cays, visitors have miles of trails and sparse beaches to explore and enjoy. If you can schedule your holiday in either March or August, you can avail yourself of the seasonal butterfly migration to the island in an explosion of beautiful colors. 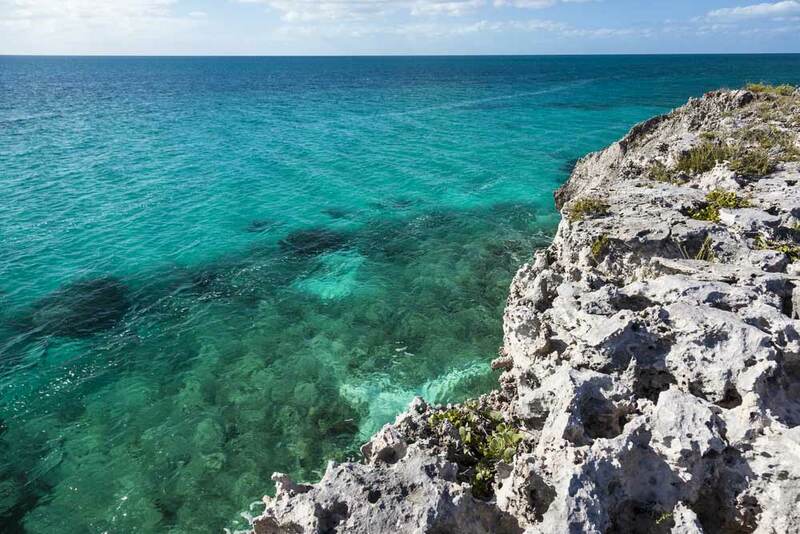 From discovering endemic animal life to studying unusual plants that Bahamians traditionally used in the production of medicine, Ragged Island is an adventure traveler’s dream come true. Near Port Nelson, a salt pond forms a protective ecosystem that is home to baby turtles, groupers, lobsters, and an array of other sea life. Indeed, the salt pond provides an excellent sanctuary for the baby sea creatures before they venture out to the dangers of the open ocean. Eco-tourists worried about missing any of the islands natural hotspots can easily hire a tour from one of the local fishing guides to guarantee that they miss nothing on their trip. 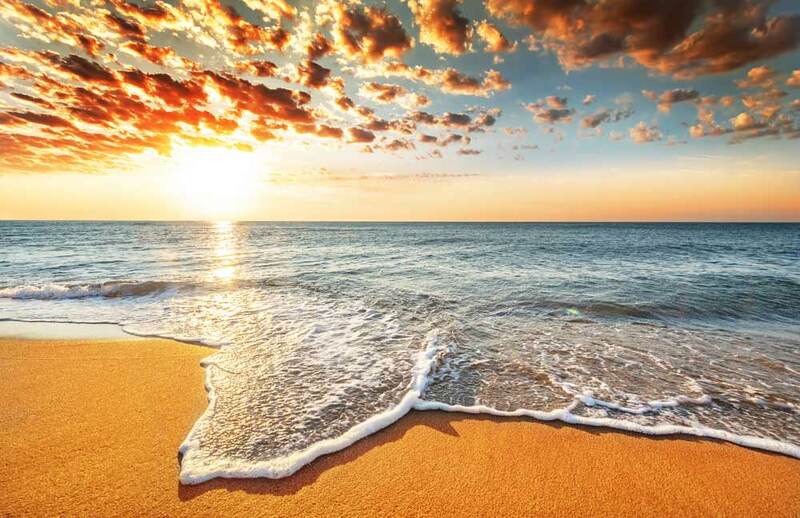 Be sure to pay a visit to the more popular destination spots on the island including Sir Milo Butler Park Beach, Flamingo Beach, and Picnic Bay abutting up against the Sumner Point Marina. As the single most impressive geographic feature on the island of San Salvador, you would be hard put to miss a tour of the Great Lake, which covers the majority of the island’s interior, and deemed a protected reserve in order to preserve its natural beauty for future generations. 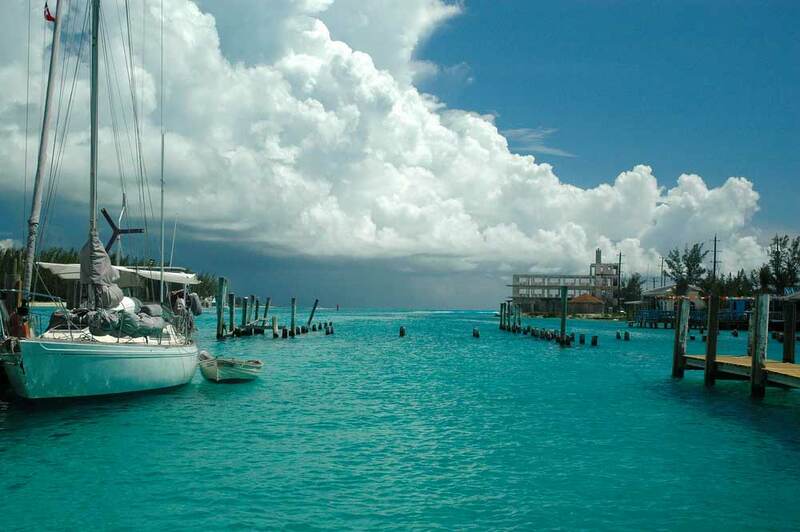 Connecting all the major towns on San Salvador, an excellent way to explore the entire island is to join a boat tour that will carry you along miles of salty lakes where you will have a chance to see enormous cactus, surreal palm trees, and mangrove swamps that literally teem with wildlife. 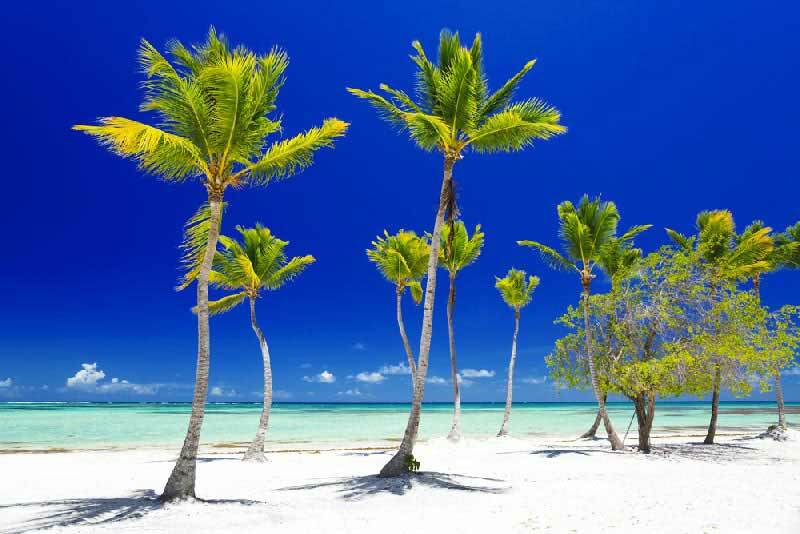 A visit to the Bahamas is like a trip into the realm of the sublime. From the weather to the people to the incredible foods, you will wonder how this tropical paradise ever stayed below your radar before now. 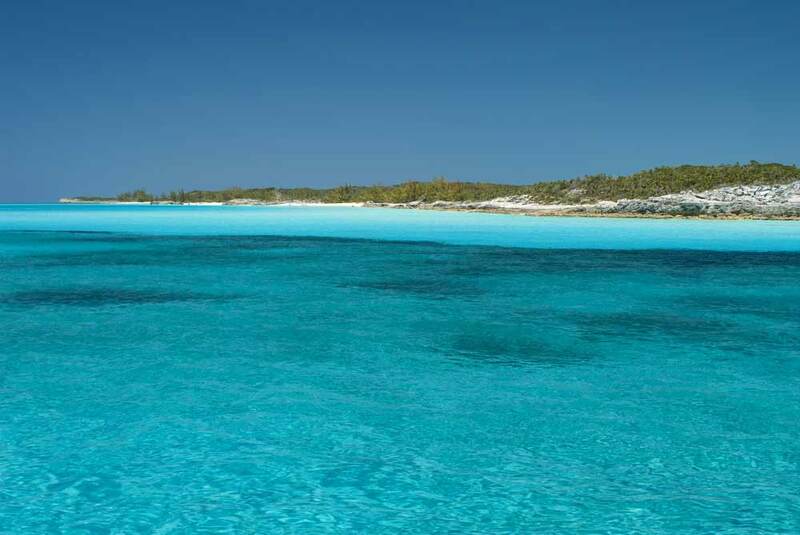 With thousands of islands, inlets, coves, cays, and caves, the Commonwealth of the Bahamas offers a myriad of attractions, events, regional celebrations, and more with which to enjoy your stay. 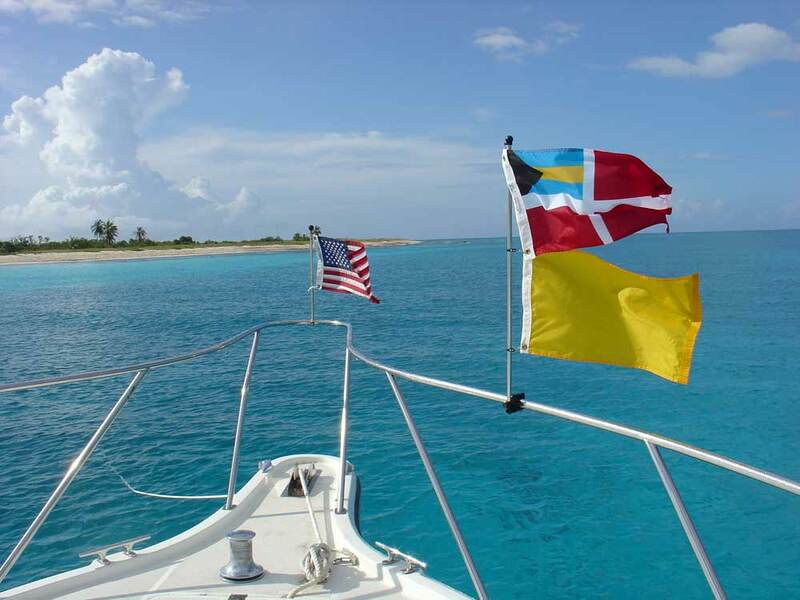 Each island holds something for someone, so find an island group and jump into the fun and excitement of your tour of the Bahamas.